What can your garage door do for you? For one, it can be a statement of your exterior and further enhance the curb appeal of your home. Additionally, it serves as an insulator, to keep the interior of your garage warm during those frigid northern winters. Let Window World of the Jersey Coast change the way you see a “typical” garage door, and introduce you to the vast array of customization options. Sturdy steel doors that resemble a beautiful, wood-inspired finish. What could be more elegant than that? The Classica Collection takes durable materials and blends them effortlessly with an impressive design. 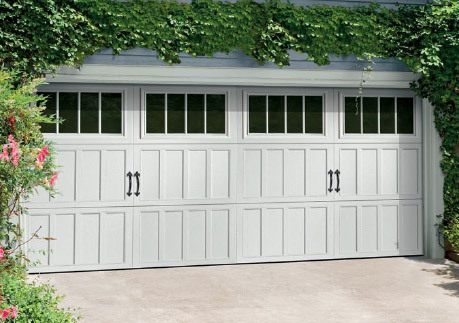 Customize your garage doors to match your design style and personality. With Amarr’s Oak Summit collection, you can do just that. Give your exterior a refined carriage house look with the decorative, design and color options below. If you favor classic styles and long lasting durability, look no further than the Heritage & Stratford collections at Window World of the Jersey Coast. Beautiful color options and heavy gauge steel give you the look you desire with the life-span to match. With triple-layer construction and a thermal seal, it’s no wonder this is a popular option. Learn more about these low-maintenance and durable options below.